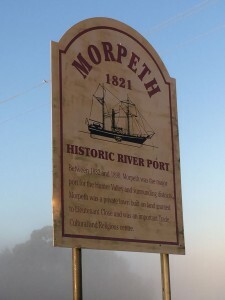 The river port township of Morpeth is steeped in history with European settlement dating from early 1800s. Known by its Aboriginal name “Illalung” Morpeth was part of a land grant made to Lieutenant Edward Charles Close by Governor Brisbane in 1821. Influenced by its desirable location on the Hunter River and the realisation of the area’s immense potential, by the 1830s Morpeth had evolved from a riverside forest to a frontier town and busy river port. During its time as a major agricultural and industrial hub Morpeth contributed to the development of the entire Hunter Valley. Whilst no longer home to primary industry, the Morpeth of today continues to thrive with many visitors exploring the township each year. (Source: Maitland Tourism and Maitland City Council). Walk along the main street of Morpeth and its bridge built in 1898 is the town’s most iconic feature. Across the bridge is John Wright’s farm, famous for his home grown veggies ready to sell and hand made straw brooms. Take a look at the Court House completed in 1862, which today serves as the Morpeth Museum. It holds an amazing collection of artifacts and photographs. The Bronte Boutique Hotel was built by the Earl of Bronte for Caleb Soul. Who started the Soul Pattinson chemist chain right here. The Arnott’s Bakehouse is the site of the first bakery (which is located at its rear) where the famous Arnott’s brothers started their biscuit business in the 1860’s. Morpeth had eleven pubs in 1867 and today it has two. The Commercial Hotel prides itself with amazing verandah views and its own boutique craft beer brewery onsite. The River Royal catered for the shipping and railway workers and passengers arriving and working at the docks and train station. The Morpeth Post Office building was built in 1881 and today operates at a Vet Surgery. 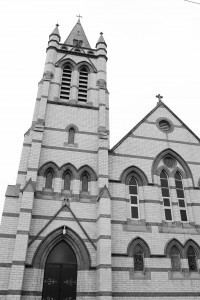 For more heritage sites, download a copy of the Morpeth Heritage Walk. Morpeth has many unique stores to wander through. Cafes, a cheese shop and giftwares among dress shops, florists, artists and collectables is what you will find. Stop off at the pub for a refreshing drink with spectacular views. Historic townships of Hinton, Duckenfield, Largs and Woodville.